We are a community coming home to Jesus and His Church. Our dream is to see people who feel disconnected from Jesus and disenchanted with church “arrive where we started, and know the place for the first time.” We find great joy in making the life and teachings of Jesus relevant and understandable. We are passionate about making the rhythms and thought of the historic Christian Church accessible to our rising generation. We believe the Gospel is good news. We believe nothing else has the power to quench our profound modern thirst for truth, beauty, meaning, and authority. To hear to Scott preach on the heart of this vision, listen here. Hailing from Tennessee and California, Scott and Marissa met at college in Chicago where they both studied music, the Bible, and literature. They have personally experienced a transformational homecoming to Jesus and his Church, and are passionate about being on this journey with others. Scott--the pastor at Christ Church--has served in the Anglican communion in America and England for over a decade, and is ordained in the Anglican Church. He loves the Bible, literature, alt-country, fishing, and running long distances. Marissa gets excited about nurturing environments where people are known and loved. She enjoys singing, art supplies, organizing things, and bread. They have two bouncy boys, James and Aaron. Kaitlyn comes to Madison from Poland (originally) and Chicago (most recently). As our Ministry Director, she blesses our church through her oversight of Sunday mornings (including children’s ministry), administration, and communication. She loves geology, salsa dancing, global tea, and can be found at your local Renaissance festival. She is thrilled to be a part of what God is doing in Madison. Kaitlyn is currently fundraising to be able to work full time at Christ Church. To learn more and support her, you can read on here. To be Anglican is not to embrace a distinct version of Christianity. Rather it is a distinct way of being a “mere Christian”—one that is at the same time evangelical, apostolic, catholic, reformed, and Spirit-filled. The Anglican Church traces its roots all the way back to the 2nd Century, when the first Christian missionaries came to the British Isles. Our tradition is shaped by the historic teachings and practices of the apostolic Church, and also by the biblical and evangelical values of the Reformation. The Book of Common prayer shapes our worship and life together around this tradition, and we celebrate its beauty, stability, and power to put us in the way of Jesus. To dive deeper, check out this helpful, introductory talk given by a theologian in our diocese on Anglican history and identity. The Anglican communion is the third largest Christian body in the world (following the Roman Catholic Church and the Orthodox Church), with over 85 million members in over 165 countries. We are a member of the Global Anglican Future Conference, are proud of our diverse international communion, and value the encouragement and perspective this connection brings us. 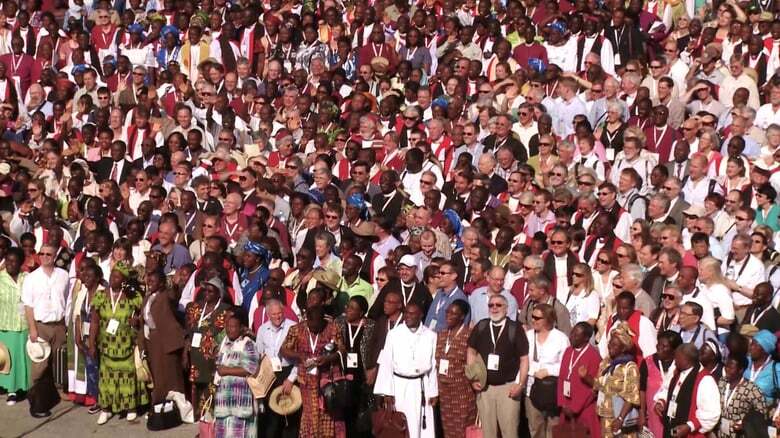 A meeting of global Anglicans in Jerusalem, 2008. Easter morning at our Cathedral, Church of the Resurrection in Chicago. Christ Church Madison is part of the Anglican Church in North America, in the Diocese of the Upper Midwest, under Bishop Stewart Ruch III. Alongside many other growing churches in the Midwest, the heartbeat of our movement is to see a revival of Word and Sacrament, infused with the Holy Spirit. Our faith is best summarized in the words of the ancient Creeds (Nicene and Apostles’), understood in their plain and historic sense. If you would like to learn more about the theology that unites our global faith community, you can read on here (from the ACNA, our national network) and here (from GAFCON, our global network). We recognize that all of us are on a faith journey, and we warmly welcome those with questions and doubts.